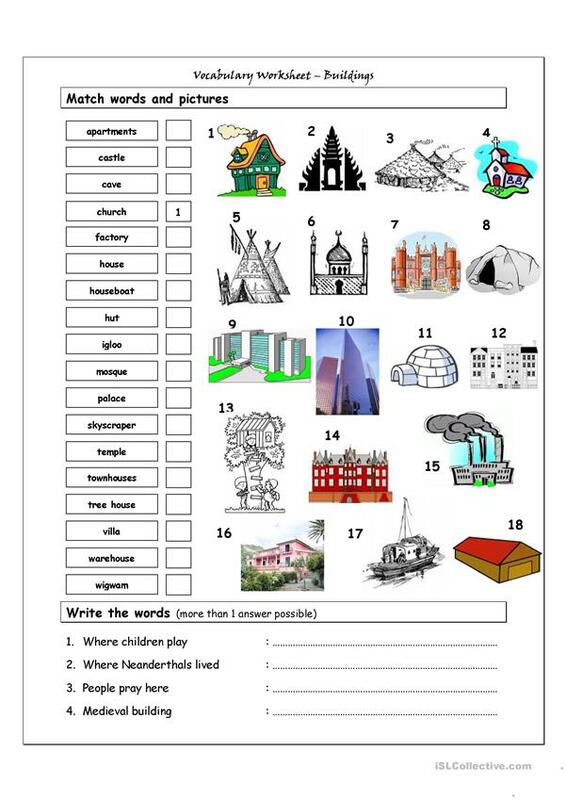 Vocabulary worksheet containing BUILDINGS. It has two sections: Match words and pictures (matching exercise) and Write the Words (reading & spelling exercise). The above downloadable teaching material is recommended for high school students, elementary school students and adults at Elementary (A1), Pre-intermediate (A2) and Intermediate (B1) level. It was designed for working on your class' Reading and Writing skills. It is about the topic and words of Home. It includes the answer key, too.